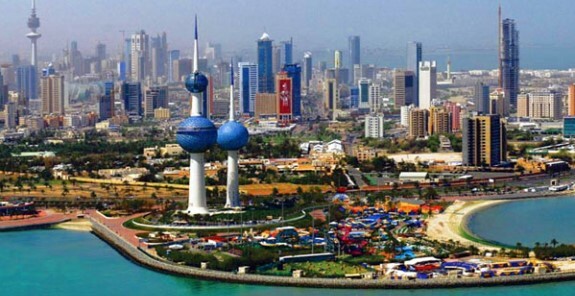 KUWAIT CITY, KUWAIT—Kuwait is one of the freest nations in the Persian Gulf, as well as one of America’s best friends. Yet its “liberalish” governance, as one Kuwaiti colleague described it, ironically impedes the adoption of market-oriented economic reforms necessary for the country’s prosperity. The latest National Assembly election may exacerbate Kuwait’s difficulties. Kuwait is one of the Gulf’s petro-states, but the price of oil is down. Last year Kuwait’s government ran its first deficit in 17 years. An even larger deficit is expected this year. The result has been unusual austerity for people used to living the good life. For years government officials with whom I’ve talked have worried that Kuwait’s expansive social benefits both drain the state treasury and discourage work. Analysts and economists as well as top officials agree that state subsidies and employment must be cut. Unfortunately, the government so far has achieved only indifferent results. Qatar and the United Arab Emirates—especially federation member Dubai—have raced past Kuwait economically. According to the Freedom of the World index of economic liberty, Kuwait has been steadily moving in the wrong direction. The Gulf kingdom was 41 in 2000, but 71 in 2014, the last year for which figures are available. In contrast, in 2014 the UAE came in tied for fifth. Qatar was 12, Jordan 14, Bahrain 26, and Oman 59. On the World Bank’s Ease of Doing Business index, Kuwait also is falling. Most recently it was only 102, behind the UAE and Qatar, as well as Belarus, Russia, Rwanda, and the Philippines, among many others. More economic development is needed to produce more and better private jobs. The government hopes to encourage private enterprise and foreign investment, but Kuwait’s disappointing economic international standing shows how far it has to go. Unlike most of the other Gulf States, Kuwait also must manage populist currents. Reform was a frequent topic in the November poll. According to the Kuwait Times, candidates targeted the government’s austerity measures. The verdict was decisive. Of 50 members, 42 ran for reelection but only 20 triumphed. The opposition captured 24 seats. While its members differ sharply on social and religious issues, almost all of them criticized government economic policy. Frustration is shared. The public senses drift. One 20-something complained that “nothing is being done” on the economy. To the government’s advantage, the opposition remains divided. Nevertheless, popular opposition to benefit cutbacks runs deep. Some MPs predict that this parliament might only last a year or two, before dissolution and new elections. “We are very proud of what we have, with the long experience and practice in democracy,” Minister al-Sabah told me. Citizens voting and holding leaders accountable are too rare in the Gulf. But to preserve its system of moderate governance and sectarian coexistence, Kuwait also needs to energize its people economically. In today’s turbulent world, there is little time to waste. Doug Bandow is a former Special Assistant to President Ronald Reagan and author of Foreign Follies: America's New Global Empire.